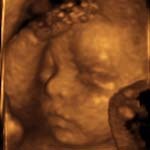 Why have an early pregnancy ultrasound? 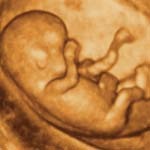 How is an early pregnancy ultrasound performed? Why is an accurate due date important? Why does ectopic pregnancy occur? 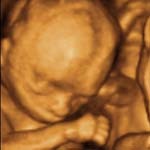 Some women have an ultrasound performed within the first 10 weeks of pregnancy. 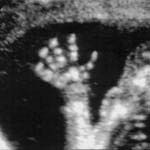 An early ultrasound has a number of benefits. That the pregnancy is correctly positioned within the uterus. This is done to rule out an ectopic pregnancy. The correct number of weeks of pregnancy. This information is used to calculate an accurate due date. The person performing the ultrasound will begin with an abdominal ultrasound (the ultrasound probe is passed over your tummy). This may provide sufficient information to complete the examination. 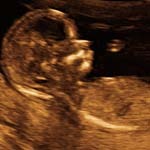 In many early pregnancy scans more detailed images may be obtained by a vaginal ultrasound. A vaginal ultrasound is usually less uncomfortable than a pap smear test and should not hurt. You are welcome to refuse if you do not wish to have this type of examination. If a vaginal examination is not appropriate for you, please inform us that you will need an abdominal ultrasound and please attend with a full bladder. 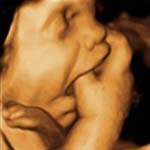 Accurately dating a pregnancy is a very important role of ultrasound. Pregnancies are usually dated based on the "last menstrual period" technique. Unfortunately, this technique relies upon accurately remembering the first day of the last menstrual period. This technique also assumes that conception occurs exactly 14 days after the first day of the last menstrual period. Unfortunately, even with regular 28 day cycles, this may not occur. Ovulation may occur earlier or later than day 14 and actual conception may also be delayed for a few days after ovulation has occurred. Having an accurate due date is very useful in order to plan the correct timing for tests during your pregnancy. An accurate due date is also very important at the end of the pregnancy as your obstetrician will want to ensure that you do not go too far past your due date. If a Caesarean Section; or induction of labour; is required then an accurate due date enables your Doctor to plan this treatment at the most appropriate time. If the pregnancy is not correctly positioned within the uterus, then this is referred to as an ectopic pregnancy, sometimes also described as a tubal pregnancy. 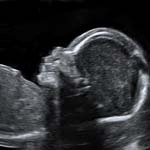 Ectopic pregnancy is quite rare, ultrasound is the best way to detect this problem. Transvaginal ultrasound is usually required in order to be certain of the diagnosis. The egg is usually fertilised by the sperm in the mother’s tubes, the pregnancy then floats down the fallopian tube into the body of the uterus (womb) and implants itself into the wall of the uterus. In rare situations, the pregnancy does not insert itself within the uterus but instead becomes stuck onto another structure within the pelvis. This is referred to as an ectopic pregnancy. The most common site for an ectopic pregnancy is the fallopian tube. Pregnancies can however also occur on the ovary, in the cervix and other areas within the pelvis.